If you are growing vegetables for the first time or have attempted to grow them without much success in the past then the best single piece of advice we can offer you is to grow only three or four vegetable types in the first year. Don't try and and grow a large range at first, it's best to grow less but put all your efforts into growing those you do grow, well. By growing less you will have more time to concentrate your efforts on the few. Not only will your chances of success increase but at the same time, next year you will be better able to remember what succeeded as well as what failed in your garden. In subsequent years you can slowly expand the choice of vegetables you grow consolidating your gardening experience. We are very lucky in the UK because our climate allows us to grow cool weather vegetables in the first half of the season and then vegetables which benefit from more warmth and sunshine later in the year. As a suggestion for the first time gardener why not try growing lettuce for cropping early on in the season. An easy variety which takes up very little room is Tom Thumb, especially delicious when harvested young. 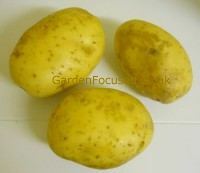 For a mid season crop give new potatoes a try. They take up much more room but the taste of freshly harvested new potatoes is delicious. Charlotte or Nicola are tried and trusted varieties which will stand lack of care as long as they have a good supply of water. An alternative to potatoes, which takes up less room, is beetroot. And whatever you do with beetroot, harvest them when they are small for the sweetest and most tender vegetables. 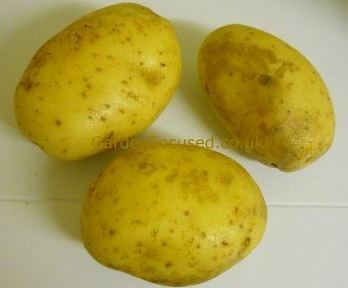 A rock solid variety is Boltardy which is widely available all over the UK. An ideal vegetable choice for the amateur which matures towards the end of the growing year is the onion. Not only are they easy to grow and take up little room but they also store well in a shed or cool area of the house. Definitely start with onion sets rather than growing from seed, your chances of success are much higher with onion sets. 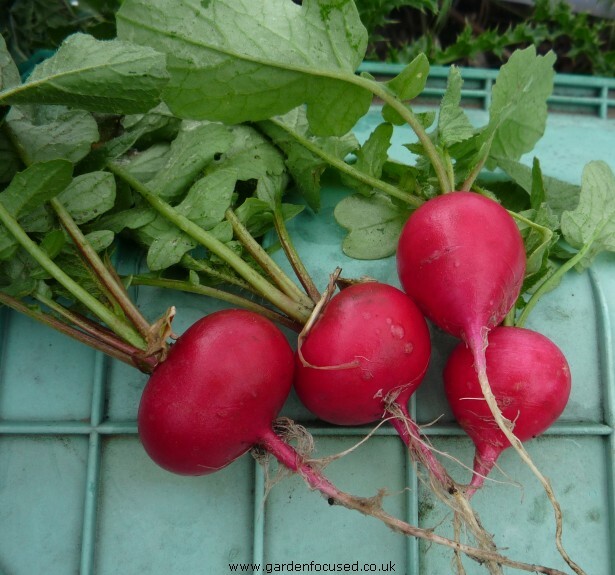 Our favourite variety is Red Baron which has excellent taste and the red tinged rings bring salads to life. For those with very little room in the garden, growing vegetables in containers is the way to go. You will be surprised at how many potatoes you can harvest from an old compost bag filled with multi-purpose compost. Beetroot and lettuce are also ideal for growing in containers and all our vegetable guides include full instructions on this growing method. 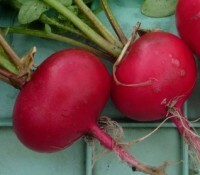 Our final choice of vegetable for the new or disheartened vegetable gardener is the humble radish. It can be sown from early spring right through to July and they only take four weeks to grow to maturity. Rather than plant them in separate rows just sow a few seeds around other vegetables. The radish can tolerate shade very well and they will mature before the other vegetables have grown too large. The UK climate is very different depending on where you live and this affects when you sow seed and many of the care activities for vegetables. Make use of our date adjusting feature which will permanently change all dates in GardenFocused to be correct for your area of the UK.